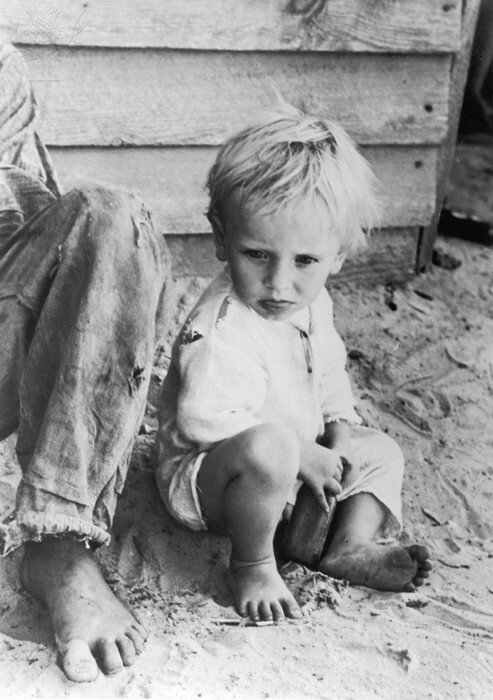 The Great Depression of the United States began in 1929 lasted about 1939. 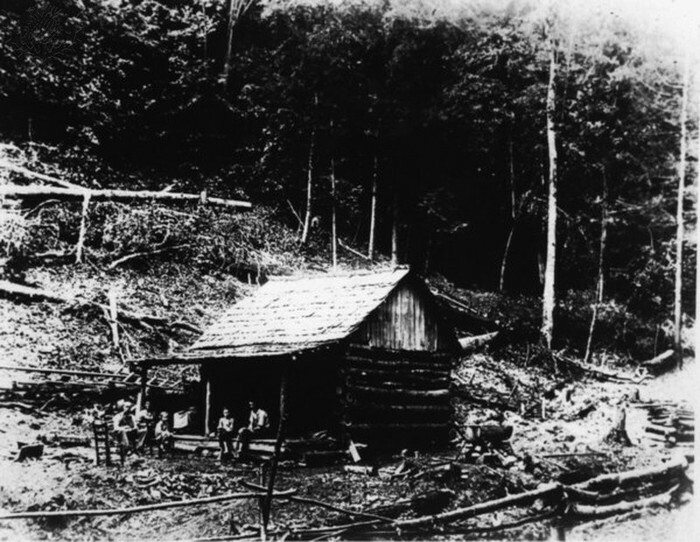 “It was the longest and most severe depression ever experienced by the industrialized Western world”. The great Depression started when people started pulling their money from their bank accounts out of fear. Because of this the banks collapsed and fell, some people also borrowed money from the banks, but then couldn't pay the banks back when the Great Depression started. No more money to give to the citizens, people began to become homeless and without food. 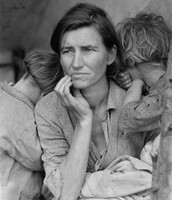 What was it like in the Great Depression? 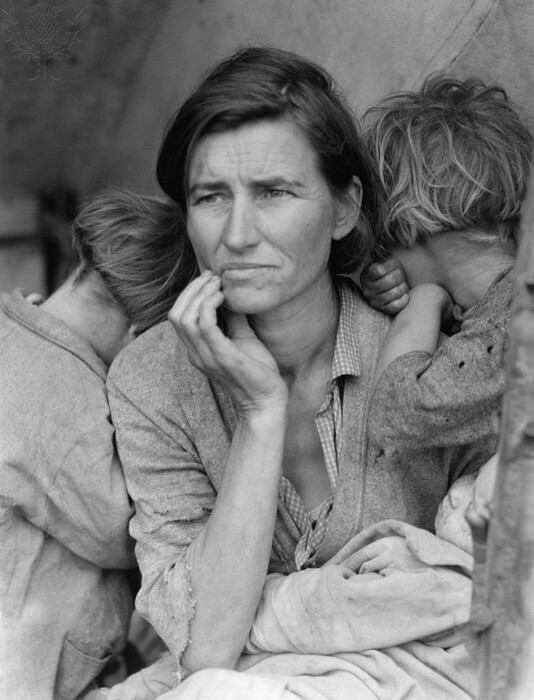 During the 1930’s people were out of work, hungry, or homeless.Many people had lost the money they had. Banks were hurts too because of the people who borrowed money from the bank couldn’t pay it back. People with jobs only got pay half they did before. They didn’t grow enough crops to sell. 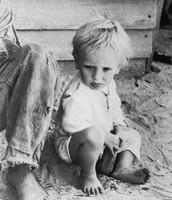 The land was so dry they called it the “Dust Bowl”. The Great Depression. Photographer. Encyclopædia Britannica ImageQuest. Web. 8 Oct 2015. Migrant mother, 1930s USA. Photography. Encyclopædia Britannica ImageQuest. Web. 8 Oct 2015.